If you have been to Malaysia or Kuala Lumpur for that matter, you would have experienced the unpredictable weather pattern here - sunny one minute, downpour the next. We had sunshine yesterday. But that's the weather here for you - tropical and with not one, but two monsoon seasons. As we speak, we are now going through the northeasterly monsoon which affects mostly the east coast states of the peninsula. Heavy rainfall do bring floods to the region. 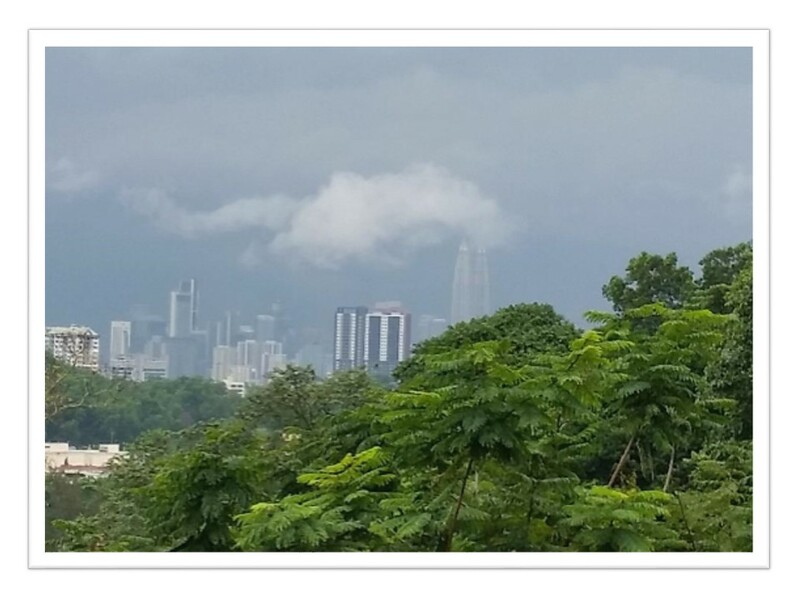 I'm having a cool view of downtown KL today or rather the skyline. Look... Passing clouds over the PETRONAS Twin Towers. You don't see that everyday.